Do you wake up most mornings wishing you understood how to solve your daily challenges, know the answers to heal your fears and pains... or at least how to keep your doubts and judgements from occupying so much space within your mind? AND do you feel deep within a drive to prepare for the grandest celebration ever to take place on Earth? 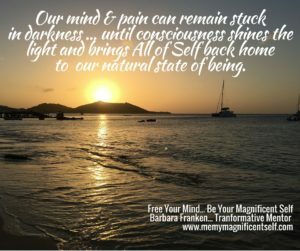 You've properly heard about 'The Natural Shift of Consciousness' that is taking place now... The extreme light frequencies that continue to pour down on Earth and all Humankind, AWAKENING hearts and souls to realise their true Divine light essence? Everything other than LOVE is being brought into the light... All Human suffering, fear and pain is rising to the surface... for acknowledgment and a loving embrace before its release and transformation into NEW potential. It is truly a magical time to be alive, no matter what is happening in your life and around YOU. It is a grand opportunity for YOU to choose to fulfil your new role as MasterCreator living a life of embodied ENLIGHTENMENT, here on the physical plane, creating all you've ever desired... for the good of all. NO... its never been done before... YOU and me are the new standards, the new DivineHumanBeings who are co-creating a New Earth. Note: It doesn't mean that you don't continue having human challenges, but you do know how to deal with them. Please go to my Facebook Business Page tomorrow between 10 am and 10pm (Madrid Time) and help me create awareness for my new ONLINE MasterCreator Class... 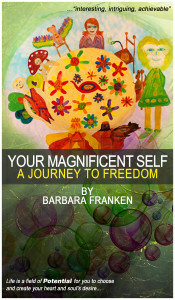 I'll be giving away 3 FREE online classes and 3 FREE digital versions of my book Your Magnificent Self... A Journey to Freedom. I'll also be posting more information about the Great Shift of Consciousness, the affects we are experiencing and tips to make ourself more comfortable during this ride. AND celebrating life in a fun and playful way as a MasterCreator knows. Its an intense 'five week' class (that is available for you to complete online within 3 months). It is filled with creative pursuits... Dancing, Singing, Acting, Painting, Writing, Expanded Inner/Outer Journeys and Celebration... for YOU to experience your excitement, joy, confidence, passion and POWER, to allow yourself to express your 'spirit voice' and BE the MasterCreator who creates an abundant and happy life in each moment... No matter what. I ask for a donation of 33 euros (or equilvalent) for this online class. All money raised from my book and classes fund my 'Creative Art Project' that I bring into local schools to help inspire our young children about 'The Magnificent Consciousness' we are all a part of.